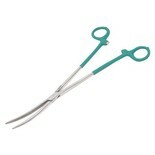 Sizes: 5" curved jaw, 10" curved jaw, 6" long nose part curved jaw. 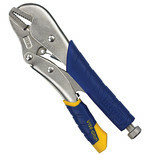 Precise screw adjustment with powerful leverage ensures maximum grip. 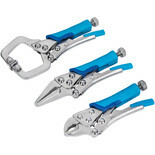 Each fitted with quick release lever. 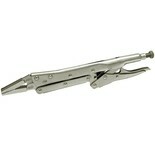 Chrome Moly steel construction with hardened and tempered steel jaws and rivet handle construction. 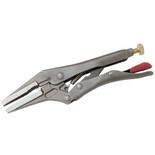 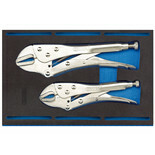 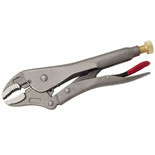 Chrome Moly steel steel locking long nose pliers with extra long jaws for access in tight spaces. 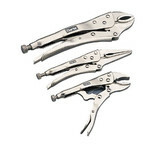 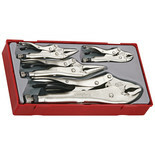 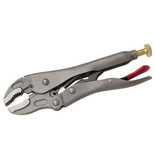 Chrome Moly steel locking pliers with extra long jaws for improved access in tight spaces. 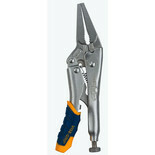 This long nose plier benefits from a 50mm max jaw opening with quick release lever for added versatility. 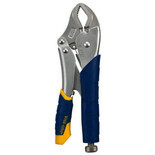 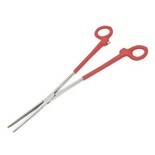 This tool is completed with a durable steel construction to ensure reliability. 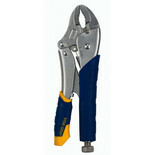 Chrome Moly steel steel construction with hardened and tempered steel jaws. 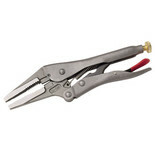 Manufactured from stainless steel with cushion grips and serrated jaws can be used as needle nose pliers, clamp, heat sink, vice and many other applications.